In Part 1 of my series I wrote about the Third Main between Westfield & Wiri as being an ATAP (Auckland Transport Alignment Project) ASAP, a first decade project that in my opinion needed funding straight away, my second post of this series is about the need for extra trains pre-CRL (City Rail Link). Currently we have 57 three-car trains and anyone who uses trains on a regular basis will have seen the massive growth in patronage. People at peak report crowded trains, as well people in some shoulder peak services in which some services are only three-car trains instead of six. Even I have noticed it the 5:58am from Avondale which is no longer a very empty train. But don’t take my word for it, the patronage figures speak for themselves. By allowing for more efficient operations, the CRL will improve capacity but that is not due to be finished until 2023which means we have a long way to go & a lot of growth needing to be accommodated. ATAP states that three tranches of 21 extra trains are needed over the 30-years between 2018-2048, one tranche per decade. In order to cope with the growth we’re already seeing, let alone what the CRL will deliver, we really need to order the first tranche of additional trains now. 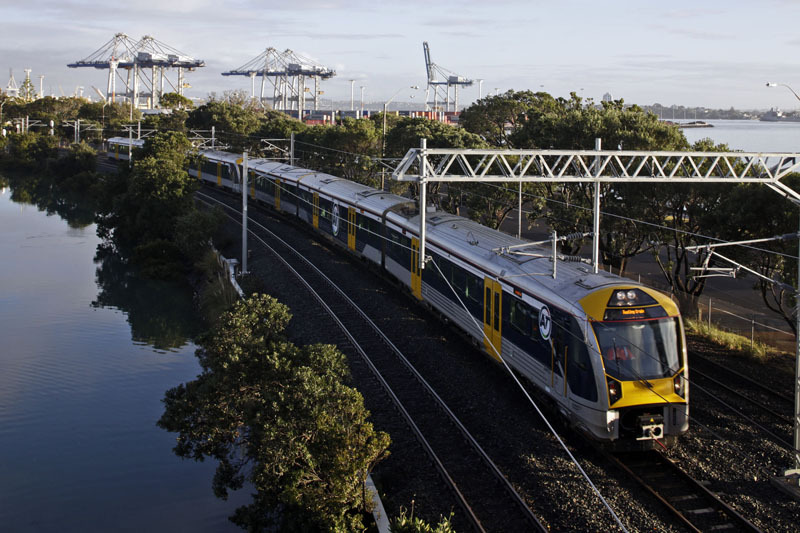 That will allow Auckland Transport to run more services as six-car trains, ensuring that all peak and shoulder peak trains are appropriately bulked up, especially in the afternoons where trains are used for school students. It is imperative we order the trains sooner rather than later as the trains have about a 2 year lead time, meaning if we ordered them today they still wouldn’t arrive until late 2018, by which time services will be significantly more crowded. Of course trains don’t come cheap and each one costs around $10 million and ATAP budgets $210 million for each of the first two tranches. We also know that AT have been looking at the idea of buying some battery powered trains to allow them to serve Pukekohe without needing wires. Regardless, the network is growing like crazy and we need the capacity to get through to the CRL. Add in the long lead times for production and that we’ll definitely need them once the CRL opens and I think we have ourselves an ATAP ASAP. I say cut funding from unnecessary roading projects and have those to buy more trains and to improve public transport infrastructure. What AT funded road project do you have in mind? 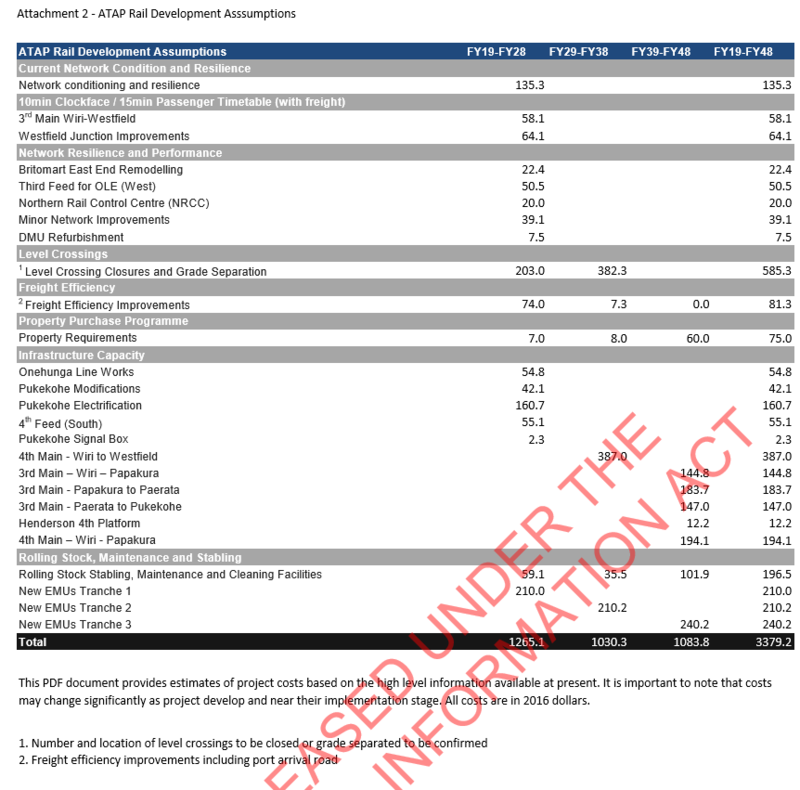 There is no point looking at government (NZTA) funded projects (especially ones that have already started) as while the rest of the country is happy to use Aucklands money to fund infrastructure in their areas there is always noise when Auckland gets anywhere near its fair share of the spend. Why can we not look at NZTA projects? E-W link comes to mind as the obvious one, otherwise, Lincoln Road. I thought my comment above made it clear why there is no point looking at NZTA projects. No it didn’t really. The comment suggested moving money from an NZTA road project, which if it was an Auckland one would mean a transfer of money spent in Auckland, not an increase of money spent in Auckland. So not really sure why this would be a concern for the rest of the country. NZTA road projects in Auckland are not unpopular through the country due to them being road projects it is due to what they see as their money being spent in Auckland, Auckland has always had a far smaller percentage of the infrastructure spend than the percentage of tax collected that funds the infrastructure pool. I’m well aware of that, I just don’t see how transferring money from an Auckland roading project to an Auckland PT project would be of any great concern for the rest of the country. Incedentally, spending all money raised in Auckland on Auckland would be crazy. If we were then to do the same for Tauranga, Hamilton, Wellington, Christchurch and Dunedin, there wouldn’t be much left over for all of the infrastructure in between. Based on my experiences on the Eastern Line I totally agree with your post, and with Alex’s comment above. 2) I believe Deputy Mayor Cashmore while working on accelerating a busway between Manukau and the Airport (SH20B) is also looking at Southern Line capacity improvements as well. Given the very cheap $58m price tag I see no reason why we cant get the third main in as far as Papakura starting the next Summer block of lines. 3) Can we get the frequencies increased also. I know the March timetable has no increase in off peak frequencies and that is not on. We need the three main lines to move to 15mins minimum all day including Weekends to help that shoulder peak issue mentioned above and help congestion busting I already see at Sylvia Park and Manukau given the proximity of those stations to the malls. Is it really needed between Wiri and Papakura at the moment? 15 min frequency on this stretch should still allow freight trains to be run. I see plenty of freight movements during the 10 minute peak frequencies south of Wiri, so not sure why this inhibits continuing throughout the day with at least 15 minute frequency. $144m is a lot for redundancy capacity, when we are struggling to get the money together for new trains. Ben metro port trains currently twelve per day (six up six down) could double to one train every two hours without causing any issues south of Wiri. Would 1 or 2 passing loops hope increase capacity to POA, or not worth doing? Harriet personally I wouldn’t think they are worth the spend (that could be spent elsewhere) when the most urgent place for the third main is from just north of Westfield junction (on the NIMT) to the Wiri inland port, between Westfeild and the POA there is only 10 minute frequencies (just like south of Wiri) while the peak frequencies between Westfeild and Wiri is effectively five minutes. Yes. There is no point spending money on rails that are not needed and have little benefit. Probably better to spend money on something useful instead. Move metro port to Wiri. Saves the EW link spend up as well. Where in Wiri Bryce? It won’t save the cost of the east west link it will just move the cost onto an extra projects that will inevitability end up being required near the relocated metroport site. Extra costs? They already built the motorway. And there is an old quarry that they’re filling in. Yes extra costs, moving where the metroport containers come off/ go on the rail doesn’t change where they come from/ go to after that. The old quarry will not be stable enough to have heavy vehicle and rail for many years yet, even the EMU depot is sinking. Great post Harriet, unfortunately AT don’t agree as they believe there is sufficient capacity in the trains we have now they just think they need to used better to provide the extra capacity we all seek. AT believe lots of things that are incorrect. That is the whole point of advocacy, to change their minds. Capacity isn’t the only factor though. Under the new bus network there are buses running 15 minutes throughout the day in South Auckland, many of them empty, but it will eventually entice more patronage. Why can’t we have the same forward thinking with trains? Bigted you are incorrect. Auckland Transport are looking very closely at ordering more trains. I didn’t say there were not looking at it, they will be needed eventually but what is needed is less looking and more doing as there is a two to three year lead time. AT are currently wanting the current trains used better than ordering more. Could not agree more with the article and these comments. The Western line is now very crowded at peak times when the schools are in. Not so much at this time of year of course! The increased frequency last year did help, but of course made the train more convenient, supporting more growth. It is sure to be my imagination, but the effect sure felt to be wearing off by the end of 2016. I wonder if there is also a more subtle restriction, that because the number of cars is limited, this restricts weekend frequencies, in turn making it much less practical to use in the weekend and so limiting growth? Weekend patronage is already respectable despite the terrible frequencies. Either way, we need the extra trains already. The number of units available definitely doesn’t impact weekend frequencies, the reasons for poor weekend frequencies is best understood by AT. The reasoning for not increasing services on weekends is the backward thinking that there is not enough demand for the current service so no need to provide more. The motive behind AT increasing peak services was to further congest Quay park and Britomart to continue the push for the CRL funding. Agree on the first bit, but the second sounds like a conspiracy theory to me. The peak running pattern and frequencies were proposed by ARTA years ago and were a key part of the wider project to rejuvenate Auckland’s rail system, including building the Manukau line and double tracking the Western line. The motive behind increasing peak services was to encourage demand on the rail network with the goal of justifying further investments to provide a regional rapid transit based on the success of increased frequency. It has worked and the increase in patronage has justified the CRL and NW and SE busways to a diehard anti PT government. BigTed seems to think the CRL was the goal in and of itself, rather than the implementation of a working rapid transit system. Thank you for clarifying your point. I think that you need to leave Auckland more often if you don’t think that roading projects in Auckland are unpopular elsewhere. I picked up where that reply belonged, I don’t get out of Auckland as much as I once did but I think the three to four times per week I once did was enough. Yeah, I now live outside of Auckland and a big chunk of the population begrudges a single cent spent in Auckland regardless of the project. More importantly, that isn’t a reason to not fund the right projects, anyway. Do they not think Auckland should be able to spend the taxation/rates revenue we generate in our area? Nope, a lot of people outside Auckland think we get overspent on, like ask people from the Waikato, they go why all money going on Auckland, forgetting the 2.8b expressway they are getting and the fact per cap they have the highest regional spend of the NLTF. The Waikato should probably get the highest per capita spend as being sandwiched between Auckland and the Bay of Plenty it probably gets more inter-regional traffic than anywhere else. I’d hazard a guess far more Aucklanders drive in the Waikato than the other way around. As the NLTF is payed for by fuel tax rather than general taxation it should be distributed by VKT or something similar, not arbitrarily drawn regional boundaries. A proportion of the NLTF is paid for by people who aren’t even resident in any region (tourists). I do wonder what possesses AT to think a three-car set is enough for a citybound Western line service in the morning peak. Shoulder peak it’s bad enough but at rush hour, it’s ridiculous. I’m now boarding at Glen Eden at various times between 7 and 7:30am, and sometimes it’s standing room only before New Lynn. This when schools and universities aren’t even in. We need more capacity and quickly, or else half the new users are just going to give up as they do every year. Problem is they hide away in their offices which they drive to and from. Oblivious to whats really going on because all they look at is their fancy graphs. Numbers can only show you so much. One of their new offices is in Corinthian Drive, Albany which has enormously poor public transport options. Obviously that wasn’t a factor in choosing to locate here. So would it take six months to get some SDs cleaned up and a couple of the EFs sorted out for the Ak metro wires? You’ll be pleased to have a technical post to give you an opportunity to moan about old trains again after having to put up with an overseas trip post this morning! The sooner the better for extra EMUs. They should have ordered them a year or more ago when they saw how much patronage growth there was (and still is) occurring. We have 275 modern carriages built 2004-2014, each with a 20-year minimum lifespan. We currently use 171 of them, and have 104 in storage. If a capacity shortfall occurs before new trains arrive, it will be due to gross incompetence, and not lack of carriages available. What [email protected]! Really? Why on earth would they do that? Is it lack of locos more than lack of carriages that is the problem then? Or is that all immaterial with the new EMUs? The carriages in storage were actually built in the 1970s (I know – I was there), so they’re way beyond a 20-year life. They have been rebodied, but that doesn’t change the fundamental facts about their age. Can you tell me what part of the SA/SD’s in NZ still came from the original bodies of the 70’s? Bogies, no. Interiors, no. Windows, no. Doors, no. Roof cladding, no. So Mike, only the frame is 1970’s and even that was modified by Hillside. They have at least 20 years life in them still as all were completely stripped and rebuilt, redesigned in the mid 2000’s through until the last tranche in 2011. There is no panic about rolling stock for Auckland when we have 104 carriages available and sitting in Taumarunui.AT are wasting ratepayers and taxpayers money by not using the SA/SD as an interim measure until more EMU’s are ordered (which realistically won’t arrive until 2020 now). How many freight locomotives are spare to pull them? Can diesels still operate in Britomart, I thought they shut down all those systems already for the rebuild? Well it looks like there will be about 17 spare quite soon and not only are they freight locomotives but they are also for use with passenger carriages. They are not diesels but 100% electric and are the EF locomotives, already proven for passenger service as they were successfully used on KR’s intercity/tourist services. Why on the earth have the EFs gone through a refurb when they are about to be retired? Good question, ask KR, they were going through refurb and rebranding to KR livery right through 2015. Its just such an opportunity for EF/SA/SD trains until new AM sets arrive. CAPEX just to get ETCS fitted and clean up/test and get any electrical fault condition detection fusing/ breakers sorted out. Dgd: I just love that word “just” – makes everything sound so simple and easy! Remembering the old adage that those who don’t understand history are condemned to repeat it, the last time old electric locos were modified for use with Mk 2s to cover a temporary rolling stock shortage, in Wellington with EOs and SEs, was a bit of a shambles. Locos designed for heavy constant-speed trains couldn’t cope with the constant accelleration/braking of suburban passenger use and the incompatability with other stock created its own issues, with the result that the train was first reallocated to easier runs then withdrawn altogether. Bringing old stock back into service is always harder than you think; adapting it to conform with modern standards is even harder; and the last thing any sensible operator wants to do is to run the high risk of service deterioration caused by introducing old incompatible stock. I’m sure that both AT and Transdev are well aware of these risks and their associated costs. Looks like something is happening in Auckland with EF electric locomotive. Passing Westfield this morning and there is 30105 being shunted around. In original tomato orange livery with large numerals on side, looks careworn and tatty. The pantograph was missing. Perhaps, wishful thinking, its here to get electric tested on auckland OLE. Sadly, as i passed Westfield on way back to NM the EF was behind DL9383 and what looked like a KR engineers train (two flatbeds loaded with wheelsets and several bogies and others with rail) and at midday proceeded south. Why was the EF at Westfield, maybe its gone now to be rebranded in AT livery? About half the carriages have old NZR bogies from the 1960s that were in storage at mainline steam prior to being fitted to the SA/SDs at Hillside. Oh Jezza, don’t concentrate on the negative! About 50 carriages have the newer bogies – that could provide an additional 12 x 4 car sets as an interim measure. It wasn’t me that bought attention to there being 104 carriages sitting waiting to go, now it’s 50. As I said before, I’ve been enjoying the reliability of the all electric system for the last 18 months and have no desire to go back to having the diesels on the network. To clarify for you, all 104 carriages could be used but approx. 50 of them have the modern bogies fitted. What a waste of investment by Auckland ratepayers and taxpayers for AT not to use them. Don’t fall for the sunk cost fallacy: Once money has been spent, there’s no value to be gained from pouring more money after it unless it stacks up on it’s own two feet. I’ve grown quite accustomed to the new found reliability of the trains, not sure I’m keen to see 30 – 40 yo diesel locomotives return anytime soon. I wonder how expensive would it be to put in the south bound track from Manukau. We are talking about less than 100 m of rail, some ballast and Geotech work. Of course Kiwirail will lose about 10 m of its Wiri fright platform. Then we could extend the Puke service to Manukau – improve frequency using SA/SD. This would add some capability to southern line and encourage growth. I understand that Kiwirail not wanting to lose one carriage lenght for freight out loading at Wiri plus there are some minor issues operation issues dealing with the cross over (not insurmountable – but they will require some signaling and Opex costs). Also I understand that the more we use the tracks the more AT needs to pay Kiwirail to access rights, plus the SA/SD were suppose to have a high Opex costs (apparently they leak- a lot) as well. It would be nice to catch a train to Manukau without having to transfer for us who live south. I’ve seen this suggested before but using the ADLs, I too would like to catch a train to Manukau without changing (I would have liked to go to Onehunga that way too) but you need to be aware of what effect this will have on frequencies of the main line for the benefit of a handful of travelers. What effect would it have to put the current Puke trains all the way to Manukau though? It will most likely effect the southern line trains. Do we think that 8 trains per hour plus freights would be too much there? no but it would be nine, AT would use it as an excuse to cut main line services from Papakura. I have read reports that it not really an issue until the wiri junction. But You are correct that Kiwirail wants a third (and fourth) mainline as one of the conditions. I think there is some problem in the morning between 7 am and 8am as will as in the evening. If I remember correctly it is partly a speed differential problem between freight trains and commuters. Saloon seating is reconfigurable. Can be changed to accomodate extra standing passengers! Not great, but it IS an interim solution. Install extra balise in identifiable ‘slow’ spots (eg: Baldwin Ave, Down main, Glen Eden, up main & New Lynn, down main). Figure how to address ‘ dribbling’ into platforms at 25 or15kph to increase journey speed which could have a combined affect of increasing frequency? If we assume that say 2 million of those were made in the working week days then that equates to about 4000 less cars using the roads per week. So we need no more roads. Is it possible to use a different model to determine the demand, given that PT is underestimated and SOV growth is over estimated. Essentially building a car based model for a PT issue. My thoughts are that the way the demand models have been built have inflicted a range of perverse incentives that are holding back the growth of PT as the hostage of SOV based ideology. Wow so another 3 billion to be spent on rail on top of the 3 billion on the CRL and the billion on electrification. I know I’ll get flamed for this, but couldn’t they have done something better for that money? How much light rail could have been installed for example? Maybe we could have had 10s of rapid transit lines for that price instead of 3? Some of the CRL cost increase includes part of the ARDP such as the Feeds etc, it’s upgrades between 2018-2048 which is a long period, a chunk is freight upgrades, and it is likely that not all of this will be done, for example could see level crossings costings come down as they decide to close rather than grade separate certain crossings. Always when it comes to how do we pay for things it’s ‘we’ll have to look at higher rates or a new levy’. Given that Auckland’s population and economy has grown we should now have additional tax revenue to spend on infrastructure. There’s not much point looking to property rates when you’d have to have been living under a rock not to have recognised that we haven’t been increasing our supply sufficiently in the last few years for this to be a source of additional funding. I imagine that rates growth had already been budgeted for. Maybe an extra 15k homes at $2k rates per year, $30 million each year, that doesn’t pay for much rubbish, recycling, roads and water let alone public transport infrastructure. Not directly related to this post, but I hope AT don’t drag the chain too long on getting the 6-car trains back at peak hour. The 3-car sets are already starting to get pretty full and I don’t think they bought back 6-car sets until quite late in January last year. Jezza I’ve seen 6 cars on the southern line this morning, don’t know about the rest. Looks like they were listening, there were 6-car sets all over the place this morning! Hey Sexie people, Always happy to read indepth articles on transportblog.co.nz / I love Motorways and I love Trains… I love Boardwwalks the most. But my point on topic is: Wo ATAP is wrong ops.. Its almost all about widening Motorways for the next 30 years its a joke. Even for someone like me who loves them. Its almost proof that they got it wrong they already have a plan to winden every single one now. So ATAP needs to be changed by the Labour Goverment when in office this year. 11.) Removing of traffic lights and replace with round abouts where ever possible. Very interesting Anthony but I can’t see there being a Labour government (if there is I think it will too unstable by being made up of too many parties with their own agendas) to make these changes. I’m a bit unsure of the advantages of point 7. Point 11 would be good if New Zealand drivers knew how to use roundabouts properly and roundabouts work best with equal traffic flows from all directions. There already is rail to Wellsford. 1) Not really it would be great to have, but need to based on cross harbour congestion as well as bus capacity constraints which happen to Fanshawe around 2030, we have to prioritise corridors using Symonds (Between Grafton Bridge & Uni/Wellesley as are reaching that point soon. 2) Mass Transit to the Southwest/Airport was in ATAP 3) Third Main is needed between Westfield & Wiri, this is considered a P1 by KiwiRail & AT tbh I wouldn’t be surprised if an announcement on it this year happened, third main all the way to Papakura is likely not needed until post CRL. 4) Possibly but down on the list as other areas will reach capacity faster 5) Possibly but down on the list as other areas will reach capacity faster & services stop at Panmure/Manukau so you have the ability to transfer to HR system. 6) Not sure the only reason Warkworth was even zoned was because the Govt was doing Puford, just don’t build Puford and shift the zoning, but even if you keep it the CBR on extending the rail there would be low. 7) Maybe low priority though 8) Would need to see Business Case 9) Would need to see Business Case 10) Sure, as long as core RTN finished first 11) Roundabouts are great if designed right, however also depends on VPD (If the VPD gets to high the benefit gap starts to narrow) & space, also from a safety point of view while roundabouts are safer compared to 4 way signalised intersections, breaking intersections into multiple T intersections can be safer than 4 way roundabouts. The ‘Rail to the Shore’ talking point is fine, but an example of political rhetoric that isn’t really being thought through. The longer I live in West Auckland, the more I see that rail along SH16 and to the Shore have to be considered part of the same project. Otherwise you’d just be adding capacity on the busway without extending reach or frequency anywhere else. And hey, that’s fine for the Shore, but the areas that are going to grow the most (i.e. in between SH1 and SH16 along the Albany Expressway) already need *some* infra now; currently there isn’t really anything at all other than a motorway. If anything, we need to be looking at what a LRT exchange at Oteha Valley would look like and how we’re going to get that up SH1 and SH16. Two birds, one stone, instead of just biffing multiple stones at the same bird while others dive bomb you. Where are all these trains going to go when they get into the city? Shows the level of infrastructure that needs to be addressed Anthony, but has been ignored for decades for More Roads. Some of those who insisted on more roads are getting too old to use them now and would like public transport to use, but built with the next generation’s revenue. I really shouldn’t get into politics here but I think we’ve had governments made up of a number of parties before BigTed. I think we’ve got one now. It’s called MMP. Watch how unstable the current government parties become without the unifying presence of JK and in the run up to the election. Change may be months away. Yay! All of our multi party governments since 1996 have had a strong major partner, with the possible exception of the Bolger-Peters coalition in 1996, which disintegrated. Bigted is correct, a Labour led government would likely have three parties, quite possibly all well below 30 %, there wont be a strong anchor to any left leaning coalition so I doubt it will be stable and would give it little chance of lasting three years. Correction Jezza: Shipley-Peters coalition disintegrated due to Shipley wanting to take National to the neoliberal right whic Peters opposed, Bolger-Peters coalition worked and saw implementation of free healthcare for under 6’s, securing superannuation at a minimum 66% of average wage. Yes, you are correct, but it doesn’t change that fact that it collapsed with two people, both with a significant amount of power disagreeing, I can’t see it being any better with three cooks in the kitchen. Superannuation for all (including those who are still working and those who didn’t need it) might have been extremely popular, but it has come at a cost to spending in other areas. If we maintain this approach it will cripple younger generations as they strive to support vastly more superannuitants. Labour’s record on PT and Auckland issues is also exceptionally poor, and a future Labour Govt is likely to have promised far more in spending than it can deliver in the short term. I am extremely cautious when it comes to the argument that a left wing coalition would be any better for Auckland and our PT network. Maybe a combination for Labour with Greens and NZ First, who are both very pro public transport, will be positive in terms of getting projects underway? It may have that short term benefit, but the problem with a shambles of a government is it increases the chance of returning National to power in 2020 for possibly quite a long time. They may be “pro” public transport but their contribution during the 1999 – 2008 era was minimal; save for the very contentious purchase of Kiwirail and the electrification/double tracking, nothing really happened. I invite you to read through the reports prepared by the Minister for Auckland issues at the time for a full run down. Be careful not to conflate the term Rail with Public Transport as a whole. Y’all seem to forget that it was a Labour led government (Mark Goshe in particular) that forced our motorway building agency into the most successful PT investment this century (certainly in terms of cost/benefit): The Northern Busway. Amid considerable scepticism and resistance, especially from the Herald and all the usual forces of the militant status quo. It is also a mistake to judge last decade by what we know now. 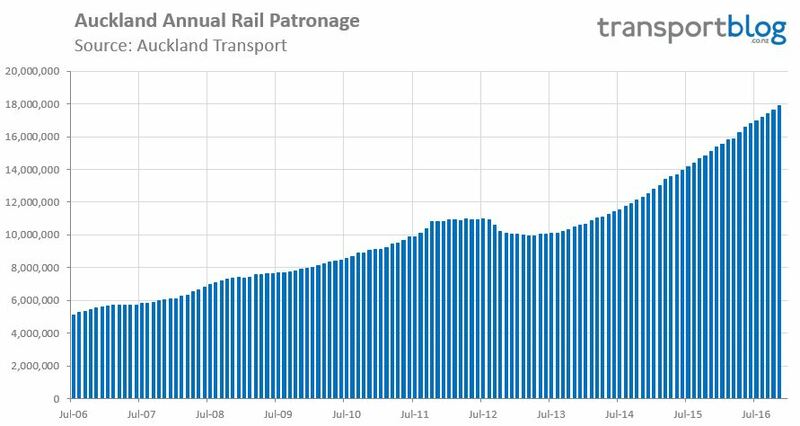 The value of even expensive PT infra investment is now a proven fact in AKL; it wasn’t then. It took Britomart, the NB, and Project Dart, to make that case. All supported and funded under the Clarke led government. Without these breakthrough projects we’ed still be stuck in worse traffic having silly arguments about how much Aucklanders ‘love their cars’ and how much we are genetically unable to use a train or bus. This certainly doesn’t mean that any future Labour led government will be nirvana for Auckland PT and urbanism in general. It is important to keep the pressure on them. I worry about an inherent provincialism in the Little led current version, but as no future Lab gov is possible without the Greens I am confident that it will be more focussed on sustainability, better urban form, and PT that any Nat/ACT one. Especially with the not unlikely outcome of Julie-Ann Genter as Transport Minister. The addition of NZF to the mix is more of a wild card, they seem, like National, to be mode rather outcome focussed. That that mode is rail is much better than the Nat obsession with last century’s destructive urban freeway model, but it still may lead to perverse outcomes. Combined with their nostalgia and provincial focus this may lead to them funding low return high cost regional rail revival, rather than expedite the now booming and vital urban Rapid Transit Networks…? Frankly I see all parties as needing be helped with persuasive argument and evidence to improve their policies, especially considering what may be traded away in all possible coalition scenarios. Including the current ones in power. And from my perspective it is less about ‘liking’ this mode or that, but more about how much they understand the role of our only city of scale in this Century (as well the other ones), and on the great opportunities and challenges presented by the coming post-Carbon economy. I agree with the comments about Labour not necessarily being public transport’s big saviour. When Labour were last in power, they were very slow and reluctant to spend on rail and took a lot of convincing to firstly take back the track and infrastructure in 2003 after having passed up the opportunity to have bought out a majority controlling share in Tranz Rail when it’s share price hit as low as 28c after getting into finanicial strife at the time – they bought a controlling share in Air New Zealand when it got into strife but not Tranz Rail. Then slow to commit to Project Dart and upgrading the Auckland rail system and then slow to agree to a funding package for electrifying the Auckland rail network – which by the time they did this, National stopped and reassessed again, further delaying this much needed transport project. Then right at the end of their third term they only then finally did eventually buy back the rail and ferry assets from Toll to form what is now KiwiRail – when they could have bought the whole lot entire Tranz Rail business – tracks, trucking fleet and all in 2003 for a fraction of the price they ultimately paid for just the rail and ferry assets in 2008. In took Labour 3 terms i.e. 9 years to achieve all this, largely dragging their heels. Yes a Labour government would be better than a National government for public transport and rail, but it is more likely that having NZ First and the Greens in coalition with Labour, will result in a significant change towards public transport and rail priority spending. Even now, Labour are still very vague and non-committal to specifics in their policy (where is Labour’s rail policy? ), which does not give confidence to much change with Labour alone, whereas NZ First and the Greens are much more committed to public transport and rail in their policies, with NZ First in particular having the best rail policy out of all parties. With John Key having resigned, the whole political landscape has changed and there will probably be a shift in general public support away from National, most likely to NZ First with Winston Peters now being the most popular leader in parliament. Many National supporters won’t vote Labour but will consider NZ First. Much of Labour’s support since 2008 has split to either the Greens on the left or NZ First in the centre. Combined with the general swing vote likely to back the popular Winston Peters over Bill English and Andrew Little who both lack the charisma and appeal that John Key had and Winston Peters has. NZ First is very likely to be in a strong king maker position with a large amount of public support come election night 2017, which in turn will be very beneficial to influence on policy on public transport and rail in the next government. I agree with a lot of what Anthony has mentioned needing to happen transport wise in Auckland, particularly point 11 about replacing as many traffic lights as possible with roundabouts (together with building more pedestrian crossings where necessary). AT and the next government need to focus on developing and expanding a fully electrified heavy rail network progressively across Auckland ahead of any further new motorways or roading projects as a priority. With the rapid increase in the number of people living in Auckland there needs to be much greater focus on getting people out of cars and onto trains (and light rail in the central city and suburbs), as trains and trams can move more people, more quickly, using less land space than other modes of land transport, and with being electrified, can do so quickly, cleanly and quietly. 1. Re-commission some of the SA train fleet which AT owns initially using diesel locomotives to run services between Pukekohe and Huapai via Newmarket, and between Waiuku and Papakura during the weekday peak periods – the SA trains have less dwell times with their door system which is controlled by the Driver and Train Manager and is not delayed by the slow cumbersome train computer system like the EMU system is. (I also agree about the comments about the seating in the SA carriages and DMUs being MUCH more comfortable than those in the EMUs – I’ve even heard the Train Drivers too find their seats equally as hard and uncomfortable and don’t like them compared to the driver seats fitted in the diesel fleet). 2. Start running new inter-regional services with SA trains between Hamilton and Pukekohe / Papakura and a new service between Auckland (The Strand) and Mount Maunganui using a Silver Fern railcar, together with building a new combined long distance coach and train terminal for Auckland at The Strand station. 3. Build the south facing link at Wiri Junction and start running diesel hauled SA services between Pukekohe and Manukau. 4. Get government commitment to start work on electrifying the NIMT between Papakura and Pukekohe, along with building new stations with large park and rides next to the Southern Motorway at Drury and at Paerata and order new additional EMUs (but for AT to specify the same seating as fitted previously in the SA carriages and DMUs). 5. AT to acquire KiwiRail’s soon to be decommissioned EF class electric locomotives, refurbish and upgrade to operate on the Auckland 25kv metro network hauling SA trains, which could then also run into Britomart. 6. Designate and route protect heavy rail corridors from Puhinui-Airport-Onehunga, under the harbour from the CRL tunnel to the North Shore and Albany along the Northern busway. 7. Start building a heavy rail line from Puhinui to the Airport. 8. Start building the central city light rail network from the Wynyard Quarter to Britomart, then up Queen Street and out along Dominion Road to Mount Roskill. 9. Start building a light rail system from Panmure-Pakuranga-Howick-Botany-Manukau instead of busways. 10. Electrify the NIMT from Pukekohe to Hamilton and Tauranga and order new long distance EMUs to run fast new rail services between Auckland-Hamilton-Tauranga. 11. Start work on a second harbour crossing under the Waitemata Harbour which should be rail only tunnels first and convert the busway into a railway to Albany. A rail line to the North Shore would reduce the traffic pressure on the Auckland Harbour bridge and the need for road tunnels under the harbour. I may have missed it in there but would also like to see rail services reinstated out to Waiuku. I think this could be a good idea, but only if it were part of a larger transport-land use plan. Specifically I think you’d need another town or two between Waiuku and Papakura for it to work. Waiuku to Papakura is 33km, or 66km return. That’s more than Papakura to Brtitomart! So that gives you some idea of the cost of running a train out there versus the number of people it could serve from one station in a small town at the end. That might not be a bad development concept though, instead of sprawling out in car dependent suburbs like Hingaia, why not develop Patamahoe and Mauku into actual villages of five or ten thousand people each? Sure it might not be much more than a row of shops and a train staiton in the middle, surrounded by a few of town houses and regular suburban homes… but that has to be better than a strip mall and sprawl right? More capacity could be provided on the Auckland metro rail system by introducing new services with diesel hauled SA trains between Pukekohe and Huapai via Newmarket, which would provide more capacity on the majority of the network across Auckland (Southern Line and Western Line) – and using trains which are more comfortable to ride in. In conjunction with this, changing the operation of EMU services on the Western Line to have all Western Line services run via the direct link at Newmarket from the new Parnell station, through to Grafton bypassing the unavoidable time consuming delay when Western Line trains run into Newmarket and the Driver has to change ends. Running SA services direct between Pukekohe and Huapai would provide Western Line passengers with services which stop at Newmarket station. Every second EMU service on the Western Line could terminate at Henderson before returning to Britomart, thus freeing up more EMUs. All services should stop at Parnell station (not just Southern and off-peak Western Line services as currently proposed) so that transfers can be made between Onehunga/Southern/Western Line EMU services and to keep the timetable simple and easy to understand. Running services with SA trains direct between Pukekohe and Huapai would also extend the reach of the rail network to include the rapidly growing area around Kumeu and Huapai, as well as removing the need for Pukekohe passengers to have to transfer between DMUs and EMUs at Papakura station, as is the case at present, which in turn would speed up journey times from the growing area of Pukekohe, as well as making the rail service and timetable more simple and user friendly. Utilizing SA trains, which could later be hauled by refurbished EF class locos if AT were to acquire these from KiwiRail once they are withdrawn from the NIMT and the line between Papakura and Pukekohe is electrified, would save the cost of having to refurbish the ADL DMUs. Just the kind of big-thinker we need in order to finally drag NZ into the 21st century! I’d rather stick with one line that gets 6tph from all western line stations to all of Grafton, Newmarket and Britomart thanks! I moved to the western line once it went 6tph, basically so I could have a turn up and go ‘metro’ style service. I really find that useful and would hate to have to work out if this train goes to Newmarket, that one skips it, this goes to Grafton but not Britomart, etc. I agree don’t go complicating things too much with what John has suggested. The whole idea behind what I suggested initially and the manner in which I have proposed it be run is to keep the timetable straight forward and simple. With the Western Line with what I have suggested you would have all Western Line EMU services running via the direct link bypassing Newmarket with every second service terminating at Henderson. The new service between Pukekohe and Huapai via Newmarket would service the entire line as well as the entire Southern Line (except Britomart of course). Anyone who gets on an SA service that wants to go to Britomart can easily enough hop off at Newmarket and onto a northbound Southern Line or Onehunga Line service which run frequently through Newmarket. Likewise anyone who hops on a Britomart bound Western Line EMU and wants to go south can easily enough hop off at Parnell and head south on one of the frequently running Southern Line or Onehunga Line EMU services. The direct Pukekohe-Huapai service would need to run all hours that train services run, i.e. 5.00am to 10pm. With this new service, there would be no need for the proposed Otahuhu-Henderson service, the direct Pukekohe-Huapai service could still operate post CRL. The Papakura-Waiuku week day peak period (5.00am to 9.00am, 3.00pm to 7pm – outside the hours which GVR generally operate) SA service (which could use platform 4 at Papakura station which would now be vacated with the removal of Papakura-Pukekohe DMU shuttle services being replaced by the new direct Pukekohe-Huapai SA service) would serve new stations which urgently need to be built at Drury (next to the SH1 Southern Motorway with large park and ride) and Paerata, along with Patumahoe which already has new residential development already underway along with more planned. There is no need for the proposed Otahu-Henderson service regardless. It will be faster to take the normal lines and connect at Karangahape than wait around twenty minutes for the direct train. And really, if they are seriously going to buy extra trains and pay extra crews to run them back and forth all day, why wouldn’t you just run them on the main CRL pattern. How do you intend to get these extras through from Wiri to Westfield? Do you expect to use the third main (once it is built) as there are already 12TPH each way plus freights through there during peak? I don’t see why the Paerata and Drury stations are not being built now or why there is no diesel shuttles from Swanson to Huapai. I do agree with the idea to terminate every second EMU at Henderson, if the demand would allow to free up more trains to be used where they are needed. If every peak western and southern service was to stop at Parnell the congestion would bring the network to a stop. Are there really any freights during the morning peak between wiri and westfield? There seems to be a concentration in Southbound freights from about 10am to 3pm. To get the Haupia to Papakura 2tph would increase wiri to westfield from 10tph to 12tph, I thought from previous postings here that 12tph is within the current signalling capability? Yes there are frights during the peaks and two extra subbies will make it 14TPH (only subbies not taking freights into account), there are currently twelve (six southern and six eastern). I often see half empty freight trains. if we had less freight trains but they were full, we would have no need for a 3rd main. Freight (like passengers) doesn’t balance up so empty wagons will need to be pulled back to where they are required at times. On a few occasions I have had to wait at Papakura from just before 7am to after 9am and there were no north or south bound freights. At 8:20am have seen a long southbound freight waiting in the up arrival road (3rd main), DL loco just north of the junction to NIMT at Middlemore. It was still there 9:10am and when I arrived at Otohuhu station at it started to move south. I figured the freights were held up until the emu rush hours were over, sort of made sense as surely a long freight would stuff up the tight emu timetable. Peak time at Papakura is almost over by 7:30 but there are still generally 2 sometimes 3 between 7&9, various Papakura peak departures get tangled up with freight trains.